So many people suffer from back pain these days. Doctor’s offices become overcrowded. And among those people, there are those who suffer from arthritis and fibromyalgia. For such people, sleeping on a good mattress is an absolute necessity. 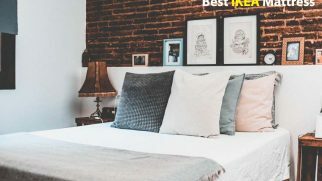 If you are one of them, take a look at this list of the best mattresses for arthritis and fibromyalgia. Maybe one of these models will make your nights more comfortable and relaxing. 15-year warranty, 120-day in-home trial. Being among the top-rated beds for arthritis, Loom & Leaf offers a lot to people who cannot sleep well because of the pain. Particularly, it offers a great structure for shifting during the night. This particular model has 4 layers: two supportive base layers, a 5-lb memory foam layer, and a cooling gel layer with the company’s proprietary Spinal Zone Gel area. There is also a quilted cotton cover, super soft and pleasant to the touch. The mattress is supportive but provides enough cradling without making you feel like you are stuck in the foam. It is great for pressure relief and proper spinal alignment. 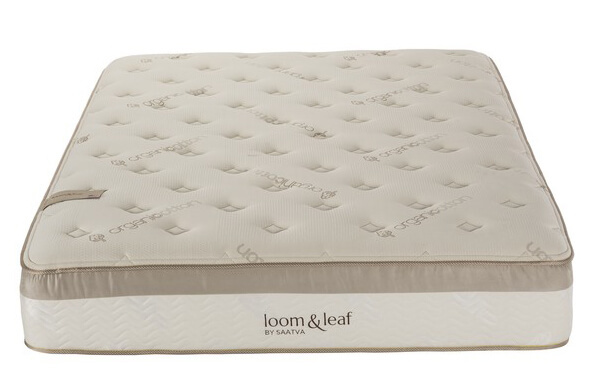 The absolute best thing about this Loom & Leaf mattress is how great it is for shifting during the night. It has just the right balance of firmness and padding, which makes it super easy for arthritis patients to move around in bed trying to find the most comfortable position. The worst thing about this model is its mediocre edge support. It might be a huge drawback for people who tend to roll over to the edge of the bed during the night. Overall, this is a great mattress, worth every penny. It helps with back pain and pressure relief, which makes it one of the highest-rated mattresses for arthritis and fibromyalgia sufferers. 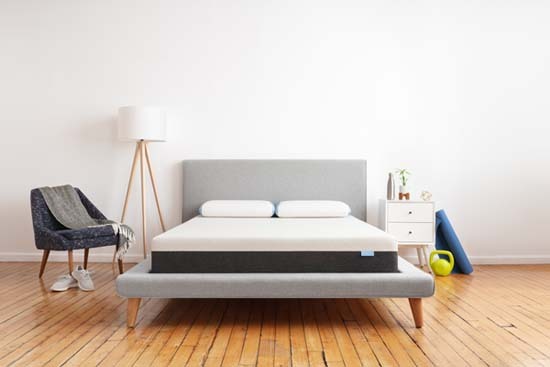 Another item on our list is this minimalistic-looking model mattress. However, don’t let its appearance fool you. It is super comfortable and has a couple of tricks up its sleeve. Now, the Bear Mattress has 4 foam layers (including a cooling one). 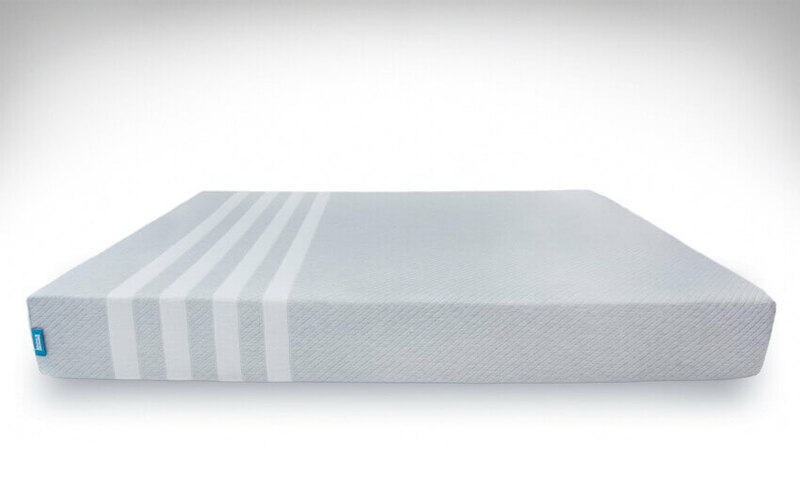 It is sturdy and supportive, which makes it suitable even for heavier sleepers. The transitional foam layer ensures that your pressure points are not pressed against the firmer supportive base. And the top graphite-gel layer provides a cooling effect. The best (and the most interesting) part of this mattress is its cover. Being made of the proprietary Celliant fabric, it helps with your body’s recovery and well-being. It harnesses the body’s energy and turns it into the infrared light. Which, consequently, helps your body heal and feel better. Because the Bear Mattress is rather bouncy, it offers a mediocre motion isolation, which may be a huge drawback for people who sleep with a partner and don’t want to disturb them during the night. If you sleep alone (or your partner is a sound sleeper), you should definitely consider this top-rated bed for arthritis. It has all the chances to improve your sleep quality. The Love & Sleep mattress by Nest Bedding is affordable, comfortable, and nicely made for relatively low price. To me, that’s a great combo! Featuring 3 foam layers, this model offers great support and enough cradling for pressure relief. The proprietary Energex foam serves as a cooling and comfort layer. Additionally, you can pick between two firmness levels, Firm and Medium Firm. The absolute best thing about this mattress is the value for money it offers. While being very reasonably priced, it is a quality product. This mattress is supportive, hugging, and comfortable. Moreover, it comes with a lifetime warranty, which means for only $600 you get years of comfort. The worst thing about this model is that it doesn’t really feel like memory foam. It does not have that slow-hugging effect of the memory foam. This might not be suitable for people who love this material. Overall, this is an incredible mattress for the money. It is an ideal option for people who want pressure relief but cannot invest in a more luxurious model. The name speaks for itself: this mattress is natural and safe. Additionally, it is very comfortable. 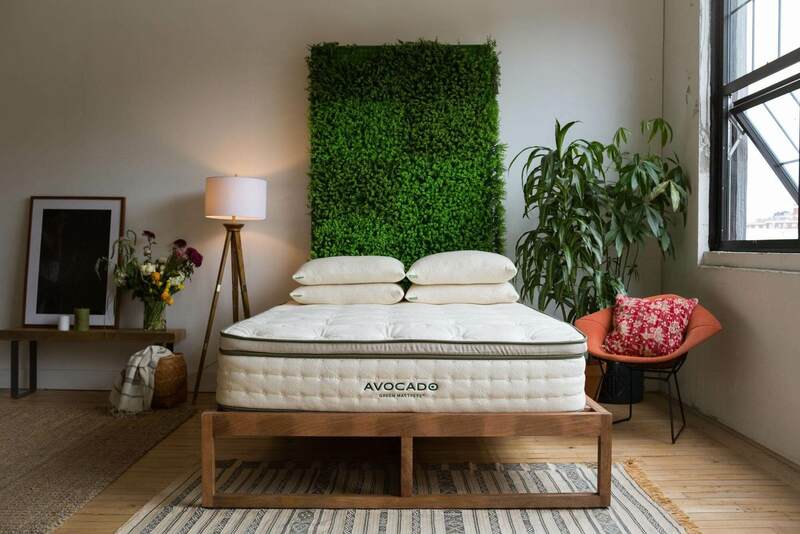 This makes Avocado one of the most suitable mattresses for joint pain and arthritis. This mattress features a mixed construction. The base is compiled of the pocketed coil system, which is divided into 3 zones for better support and reduced motion transfer. The next layer is the natural Dunlop latex. It is bouncy, cradling, and can help relieve pressure from the joints. Finally, the padded layer of wool finishes this ensemble. Without a doubt, the perfect thing about Avocado is its natural materials. It is truly a green mattress. There are no chemicals and harmful fire retardants, only the safe materials. This is a great option for people who appreciate both comfort and safety. The worst aspect concerning this model is its price. Of course, such natural materials do cost a lot more. And this makes Avocado unsuitable for people who are on a tight budget. Obviously, this isn’t the cheapest model. However, this mattress is really worth every penny. Leesa is among the most popular mattresses on the market these days. And there are many reasons for that. It sleeps cool and provides a more than satisfactory level of comfort. 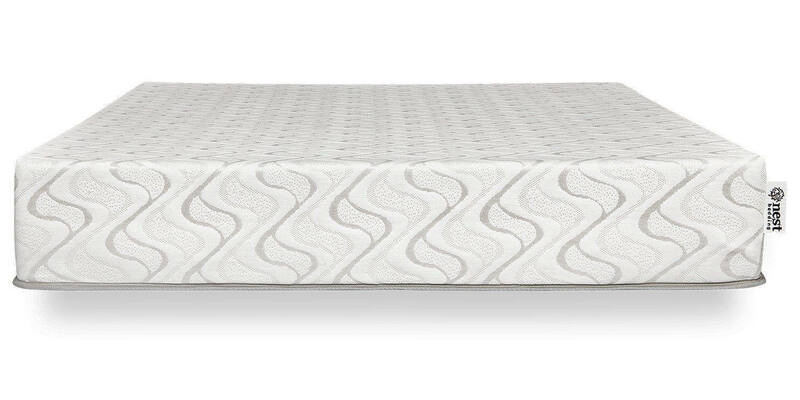 This is a 3-layer foam mattress. The top layer is probably the most interesting one. Avena (that’s what it’s called) serves to provide an improved airflow and a cooling effect. It is also rather bouncy and cradling at the same time, which means it adjusts to your body shape while supporting it. The great thing about this mattress is the fact that it is suitable for all sleeping poses. 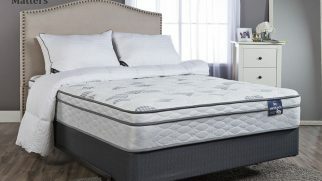 Thanks to its construction and the medium-firm feel, it is great for sleeping on your side, back, and even stomach. The worst thing about Leesa is the fact that it would not work for heavier users. It just might not be firm and supportive enough. To be honest, Leesa definitely deserves a try. It is a very resilient yet comfy mattress. It is great for pressure relief, and arthritis patients will surely appreciate this. The last item on our list is this simple yet comfortable model. Puffy is cradling and responsive, which makes it ideal for pain relief. It features only 2 layers: a 7-inch bottom base and a 3-inch top cooling foam. The top layer is the patented Cooling Cloud, which serves to provide a cooling effect and some padding, offering a smoother transition to the supportive base layer. The coolest thing about this model is its firmness level. Being right in the golden middle, it is enough for a proper spinal alignment and back support. At the same time, the mattress is soft enough to hug and contour your body, making you feel comfy. The worst aspect of Puffy is the sinkage it provides, which might not be suitable for heavier users. They might end up sleeping directly on the firm base layer, which can be rather uncomfortable. This model is definitely worth your attention. It is squishy and comfortable, which is great for back pain and arthritis. Arthritis and fibromyalgia are nasty health conditions. The worst part about them is, of course, the pain they cause. However, another challenging aspect is the fact that their symptoms may occur pretty much in any part of your body. Arthritis affects joints, and fibromyalgia can reveal itself in muscles, bones, and comes with a ton of other symptoms and pain spots. The level of support. Even if the mattress is a softer one, it still has to have a solid, supportive base/foundation. It is responsible for providing the proper support for your body and keeping the spine aligned properly. The pressure relieving properties. This aspect is crucial when it comes to arthritis. A good mattress should provide enough cradling for your joints to reduce the stress in them. The temperature properties. We always appreciate when a mattress doesn’t sleep hot and allows for a good air circulation. This can contribute to the overall comfort of the bed. The ability to shift. People with arthritis and fibromyalgia need enough space to change their sleeping position and shift during the night. The mattress should be large and firm enough for that (it is harder to shift your body on a soft bed). Warranties and the return policy. To be honest, everyone’s pain is different. And it might be very hard to find that one perfect mattress for your particular health issue. Therefore, we always pick the companies that offer nice return conditions. In this case, if you don’t feel comfortable sleeping on your new mattress, you can simply return it and try a new one. Yoga and light exercising are believed to help with chronic pains. Gentle poses and light movements help people relax their muscles and release the tension from the body. Taking pain relievers is probably the most popular option. Medicine can work relatively fast, reducing inflammation, minimizing pain, and even improving the patient’s sleep quality. Sleeping on a good mattress. When your body is hurting, a comfortable mattress can make the experience more bearable. Usually, great mattresses for arthritis are also suitable for fibromyalgia patients too. They are supportive enough to keep your body in a relaxed, neutral position but have the proper amount of cushioning to allow for muscle relaxation and pressure relief. Physical therapy has proved to be effective in this case too. It strengthens the muscles and reduces pain. Massage therapy is really good for pain relief too. It helps your muscles relax. Exercise. It will help you maintain the flexibility in your joints. Acupuncture. Even though it isn’t considered a “traditional” healing method, acupuncture helps with restoring your body’s balance and reducing the pain. Proper mattress. Sleeping comfortably, on a supportive bed can really help you feel better. A good mattress will relieve the pressure from your joints, which will also reduce the pain level. Hot and cold therapy. Warm and long showers/baths help with muscle relaxation, while cold compresses reduce inflammation and joint pain. Massage. Again, reducing muscle stiffness and relaxing your whole body helps greatly with arthritis pain. Osteoarthritis and rheumatoid arthritis are the most common forms of this back condition. There are many possible treatments, but getting yourself the top-rated mattress for arthritis can really improve your sleep quality and overall well-being. If you have hip arthritis, you might notice pain not only in your hip but also in your knees, thighs, groin, or even buttocks. And of course, such a condition prevents people from sleeping well. If you wake up from pain, you can try to change your sleeping position. Oftentimes, putting your body into a different pose can somewhat reduce pain. Sleeping with a pillow between your knees can help you reduce the stress and pressure in your hips. Putting smaller, wedge-shaped pillows under the hips, as an alternative to the between-the-knees pillow, can provide some extra cushioning and relieve pain. If you don’t have such a pillow, you can try to fold a blanket in a wedge shape. If you are sleeping on your back, putting a smaller pillow or a rolled blanket under your knees will help with the proper spine alignment and hip pressure relief. There are so many good mattresses, but we are here to pick only the best ones. Go with Loom & Leaf. This bouncy, supportive mattress is great for spinal alignment and can offer you enough space to move around during the night. 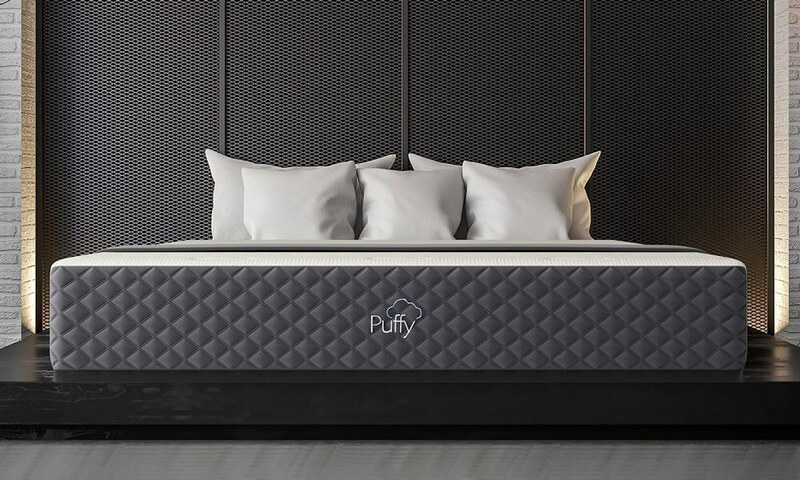 However, if you want something softer, love that cradling feel of memory foam, and want great pressure relief, consider Puffy. Its foam construction offers good support and gently cradles your body, providing relaxation and pain relief. Have you already picked your favorite? Which mattress are you thinking of buying? Let us know in the comments!